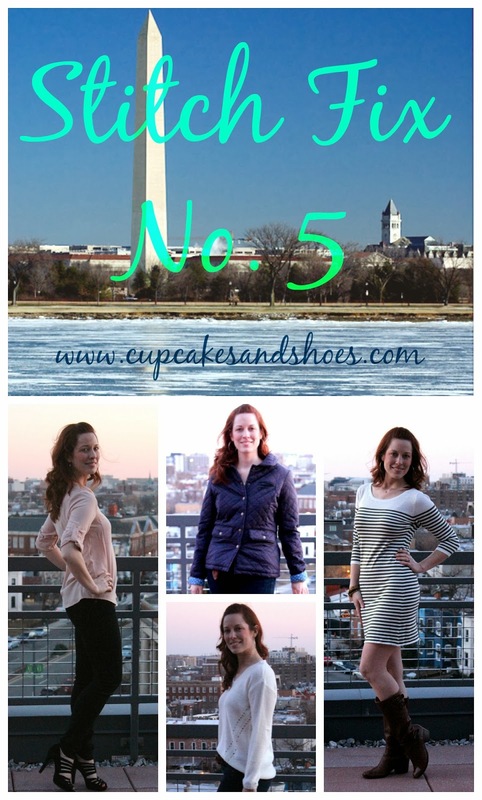 It's your favorite subject ladies...Stitch Fix! Last month I decided to sign up for monthly fixes, which I can cancel at any time. It just saves me from manually scheduling them, and sometimes Stitch Fix gets backed up and it can take a little while to reserve a spot. This way I am guaranteed a shipment every month. 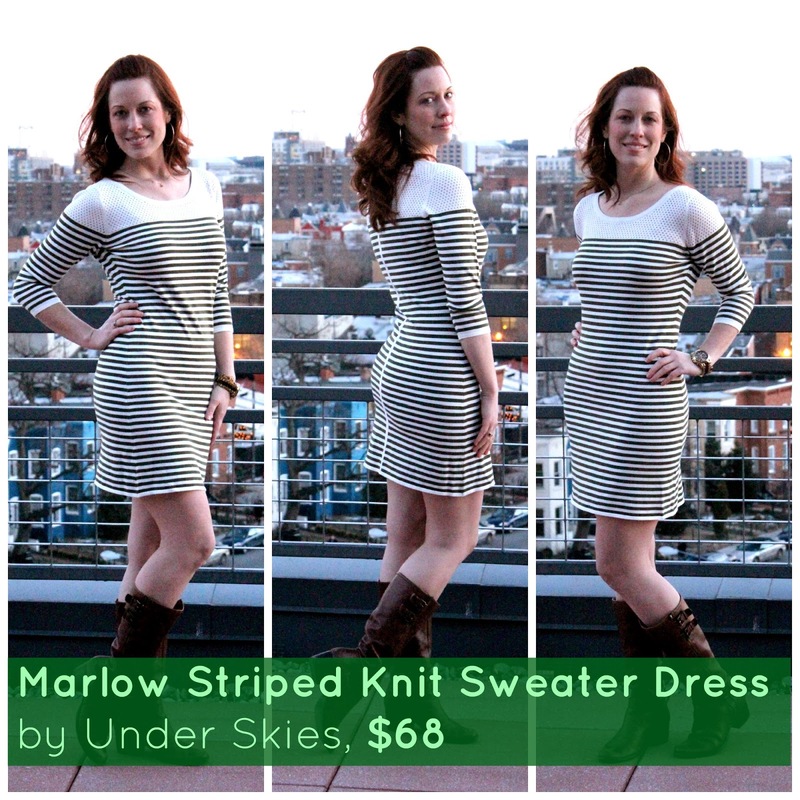 And who doesn't want a package with cute clothes arriving at their door every month? After a couple of disappointing fixes and several email exchanges, I had to laugh when I received this month's fix. My stylist made a point to let me know she was keeping tabs on the chilly temps in DC, and even though spring was around the corner, she wanted to give me one more chance at winter options. If it had come last week I would have been annoyed, but the timing happened to be perfect, as Polar Vortex No. 3 hit yesterday, when my fix arrived. My mother is in town, so we popped up to my rooftop for a sunset photo shoot. All my smiles are forced except the one in the jacket, because I was miserably cold. She did awesome for her first time using an SLR, and a digital one at that! I had mixed feelings about receiving more black skinny jeans. I sent back the ones from the last fix because they were way too difficult to put on, but they did look really good once I got them on. I have some other black skinny jeans, but they're kind of faded and don't do anything amazing for my figure. These were tight but not as bad as the others, and I like how they have a little extra material on the bottom so they bunch a tad at the top of my shoes. 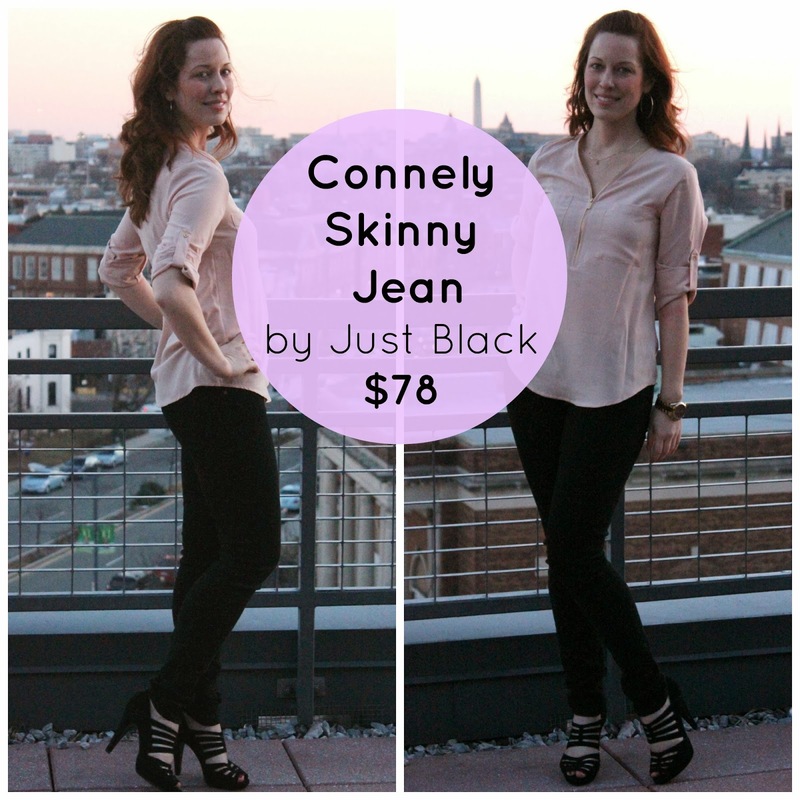 The effect makes these jeans different than most, and they made me feel slender and chic. This dress was better than I thought it would be. The green was almost the color of a fir tree, which isn't a color I have anywhere in my wardrobe. The stripe on the back really makes the dress, in my opinion. From the front it's pretty plain, but that stripe gives the dress a subtle sexiness that it would be otherwise void of given the simplicity of the dress. Alas, with my curvy figure, I would have trouble pulling off this look. I'm enjoying not wearing Spanx anymore since I went down two sizes, but I'd have to pull them out for this dress. P.S. I might feel different if I had some camel suede booties, which I think would take this look to another level! 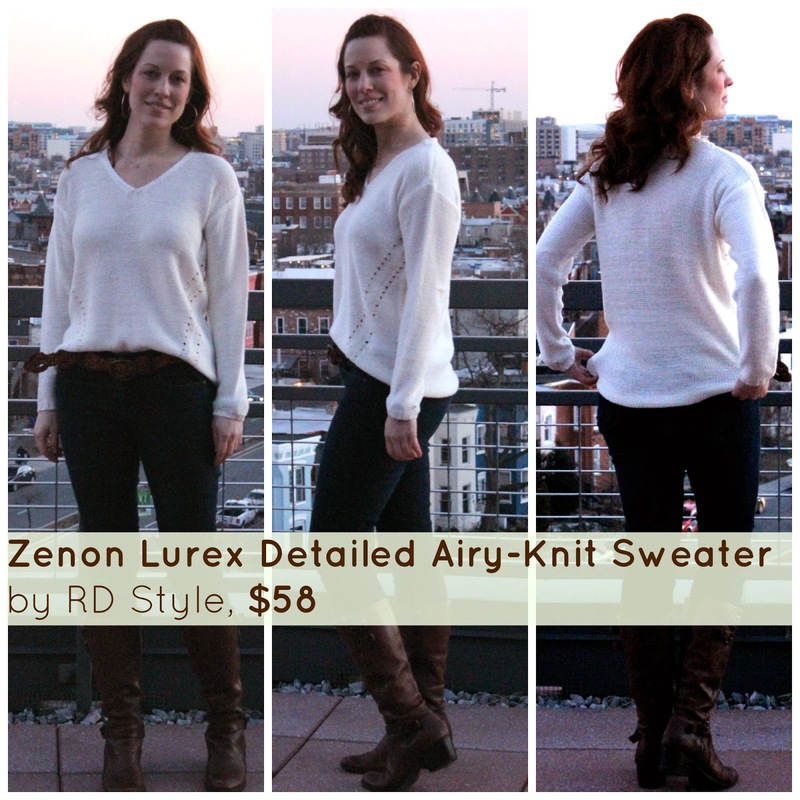 This sweater had the opposite problem of the dress -- in the box I loved the way it looked, but once I got it on I felt slouchy. Also, it had a shimmery thread throughout, and the longer I wore it, the more I felt like that shimmer cheapened it. It's cut to be shorter on the front, a popular style for tops these days, and the material was soft and airy, as its name suggests. But it did nothing for my figure. Okay -- with the scarf the sweater looks a lot better, huh? I just started wearing scarves a couple of years ago, so I'm still learning and experimenting with them as a functional accessory. I'd never worn and infinity scarf before, but it's a smart concept because it gives you that volume you want but you don't have to figure out what to do with the tails of the scarf. The blue of the chevron stripe is a beautiful shade just above navy (is that called cerulean? ), and the material is a super soft cotton. This is really the perfect scarf! 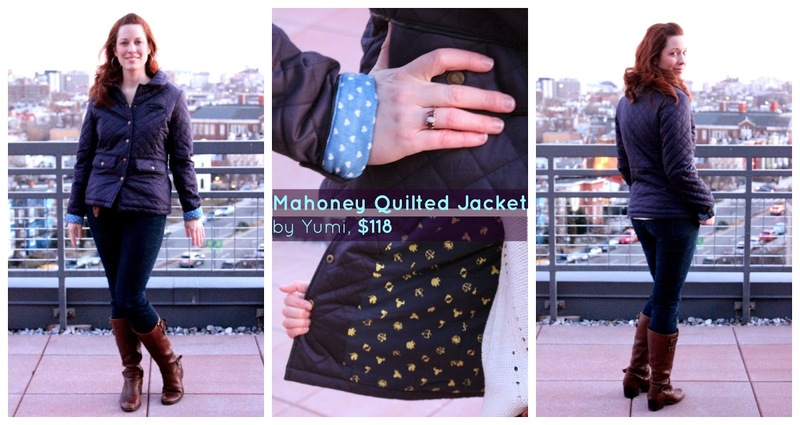 Ahhhhh...I feel warm and fuzzy inside just writing about this jacket. It was so warm and soft. My hands had no feeling left in them at this point, so the one thing I pointedly did not like about the jacket is it had no side pockets. But the details were super cute -- note the hearts at the cuff and the icons on the lining. At first I thought they were nautical icons, but I noticed later they were zodiac icons. I'm not into astrology at all, so I didn't like this. I do like the idea of having two linings, a fun surprise when you open the jacket, but I would never wear something with zodiac symbols all over it. I also just don't need a little jacket right now, with spring around the corner, so this was a no-brainer for me. I ended up just keeping the pants, but I have a feeling I'll be thinking a lot about that scarf over the next couple of weeks. Hmm. While I wasn't crazy about all of the items, I am elated about those pants! This has been my experience with Stitch Fix every time -- there's always at least one big win, and as long as there's one, I'll keep ordering more fixes! Hopefully Stitch Fix No. 6 will include cherry blossoms and sunshine! I love that top you're wearing with the pants too! 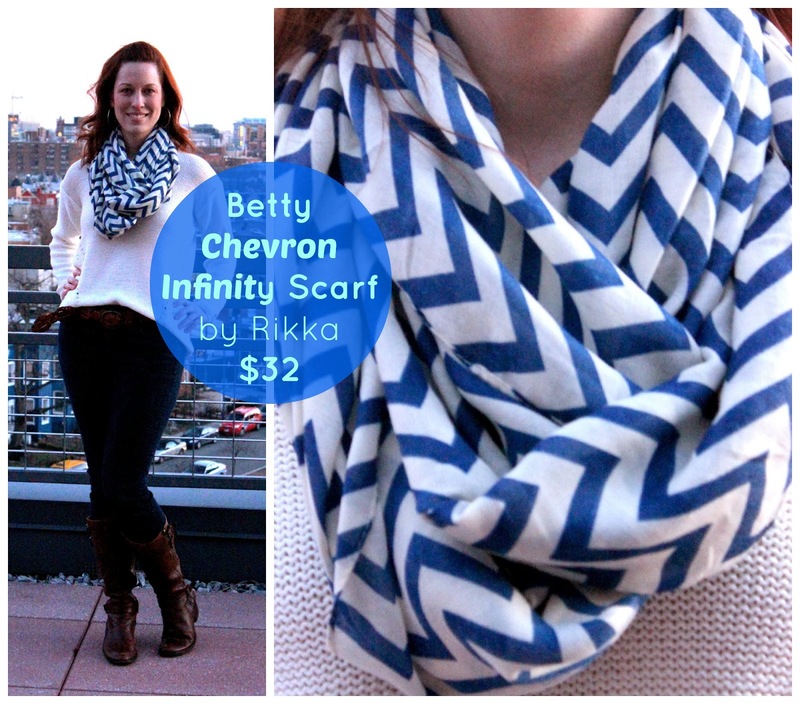 If you end up deciding you wish you kept the scarf, there are lots of chevron infinity scarves out there....I'm sure you can find a cute one online! That dress looks gorgeous on you! No need to worry about spanx, you look just fine.